With qualifications from Melbourne University and the Australian Wine Research Institute, a winemaking career spanning more than thirty vintages in Australia and France, and over 800 medals attributed to his wines, Sirromet’s Chief Winemaker considered himself an expert (and rightly so!) until a chance encounter on the other side of the globe reminded him that there’s always something new to learn in the world of wine. He shares the importance of being humble, staying on top of your game and striving to remain informed in a constantly evolving industry. After a career of over 30 years as a Winemaker, what inspired you to go back to school? As the Chief Winemaker of Sirromet Wines, I travel overseas every year promoting our wines. I immensely enjoy speaking to consumers, sommeliers and so on about our region, our brand’s concept, our winemaking process and of course our wines. Straight away, my brain fogged, “oh my god, what is Torrentes?”! I had to answer him, so I took a chance and said yes, “similar in style, with primary fruit flavours”, before quickly excusing myself so that I could Google Torrentes in the bathroom. Lucky for me, I’d got it right, but behind the scenes my pride was dented. On my way home, I was thinking about this situation and decided I needed to act, I needed to change. I needed to learn more about the world of wine and be up there with the latest information and trends. If I am going to travel, teach, develop our brand and promote our wines, I need to be on top of my game. WSET courses have re-invented my palate, given me a new outlook on the whole world of wines, given me more passion, and also allowed me to help others, which is a great delight. Why did you choose to pursue WSET qualifications? Initially, I looked into studying with the Institute of Masters of Wine, however as the wine world has changed a lot in the last 20 years, they recommended the WSET Level 3 Award in Wines and the Level 4 Diploma qualifications to get me back up to speed and back in the game before attempting the gruelling IMW exams. So I looked locally and found a WSET Level 2 Award in Wines and Spirits course to test my feelings toward this new world outside my winemaking career. Wow, was it good! 3 days later, I needed more, so flew interstate for Level 3. It was great, but 5 days later I still needed more. I’ve now been studying for my Diploma for a year and a half with Prince Wine Store in Melbourne, I’m currently doing Unit 3 and I’m still pumped! What has been the most rewarding part of your WSET education? The WSET courses have re-invented my palate, given me a new outlook on the whole world of wines, given me more passion, and also allowed me to help others, which is a great delight. I also managed to complete the Educator Training Programme which allows me to teach WSET Levels 1 and 2, enabling us to establish Australia’s first Approved Programme Provider at a winery, all within these 4 last years. What advice do you have for people in a similar position to you? For other winemakers out there trying to bag (that’s Aussie for give me a hard time!) me about going back to school, I suggest checking it out – try a Level 2 or 3 course and see for yourselves. Maybe you too will fall in love with wines such as Agiorgitiko from Nemea, Torrentes from Salta at 3000m elevation or Tokaji Aszu from Hungary, who knows? 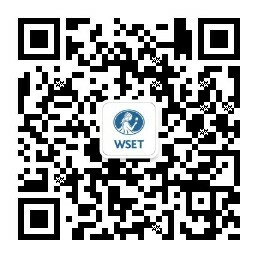 It is a big world out there and the guys at WSET have it covered! I still travel and it always amazes me just how much the sommeliers know about the wines of the world in general, and this is a good lesson for winemakers. We need to be prepared on a global standard, and not just on our countries’ idealistic concepts. WSET courses might just help you understand the world of sommeliers and the global wine trade that much better. Well, I just need to get through Unit 3 of the WSET Level 4 Diploma! I am still winemaking full-time and studying every night, 5 days a week, for 2 hours – and still loving it. Follow this link to find out more about WSET qualifications, or visit our Where to Study page to find a course provider near you.